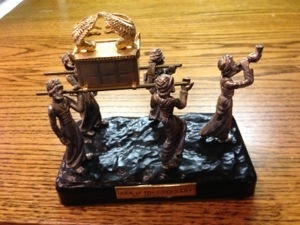 He tackles the tough issues in an attempt to expose how the opposition is misunderstanding the Scriptures and history. He uses many Protestant scholars and historians to support the Catholic position. 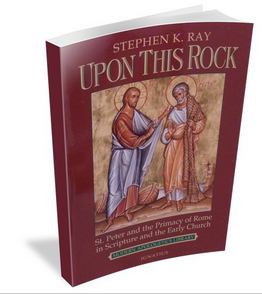 This book contains the most complete compilation of Scriptural and Patristic quotations on the primacy of Peter and the Papal office of any book available. Allow us to guide you into the Vatican itself. Allow us to introduce you to the Papacy. The pope is the leader of the faithful and the papacy is one of the aspects of the Catholic Church most difficult for non-Catholics to accept. From often-misunderstood concepts such as papal infallibility to the unbroken and irrefutable connection between Peter and today’s pope, the Papacy Learning Guide will provide you with detailed and fascinating explanations of the evolution of papal responsibilities, the history of the office, and the vital importance of the Holy Father throughout 2000 years of history and especially in today’s world. 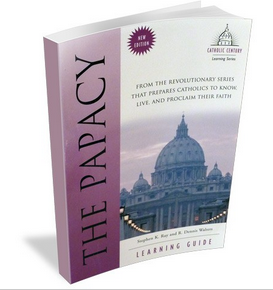 Through this valuable new resource from Catholic Answers , the reader will be apologetically fortified with everything they need to know to understand the papacy, and to defend it to those who do not. Informative and interesting, this guide is a must for any apologetics library.